Business Card Magnets - Magnetic Business Cards at UPrinting.com! Magnets are the all-time favorite refrigerator décor. It is not only for aesthetic purposes nowadays but also used to stick important a reminder such as grocery lists and notes. But have you also considered using card magnets to display your business information? A card magnet can be a marketing godsend, just think of how many times your target market might open the refrigerator door in a single day. Aside from this, you can also use it as giveaways, gifts and even calendars. Here at UPrinting, our business card magnets are available in both standard and custom sizes. These magnets are printed on 17 pt. card stock that sticks to any metal surface and are UV coated. Order quantity is from 25 – 5000 that are ready to be shipped in 4 or 6 business days depending on your choice. 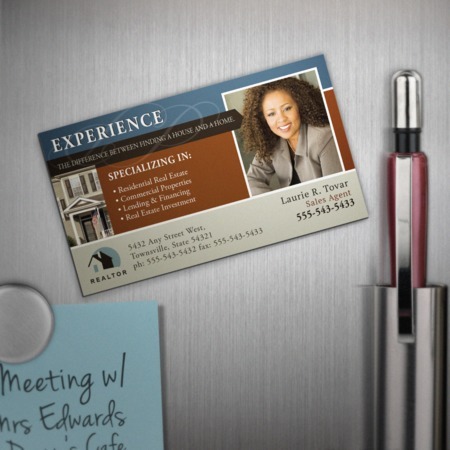 For more questions about business card magnet printing, just call us at 1-888-888-4211. You can also choose to chat with us via out “Live Chat” button. We are more than willing to assist you on all your printing needs!